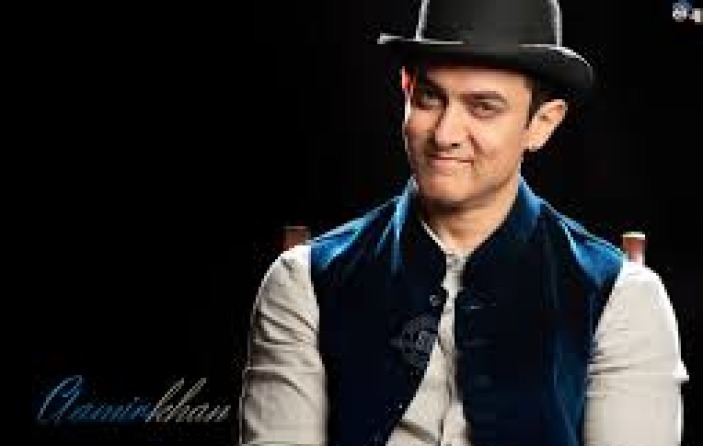 Dhoom 3, starring Aamir Khan, recently broke all box office records, re-affirming the actor’s status as one of the most commercially successful stars for more than twenty years now. The superstar’s parallel in mutual funds is the Franklin India Bluechip Fund. Like the superstar this fund has a track record of strong performance over more than two decades. This fund from Franklin Templeton Mutual Fund, one of the best asset management companies in the country, invests in companies with large market capitalization and picks its stocks mostly from the Sensex and the Nifty baskets. The fund’s large-cap, quality-oriented portfolio mix limits downside risks in bear market conditions, as was evident in the fund’s performance in the previous equity market downturns. This fund is suitable for investors looking for high capital appreciation over a long term, with limited downside potential in volatile markets. As such the fund is suitable for investors planning for retirement, children’s education or other long term financial objectives. Launched in 1993, this is one of the oldest schemes in its category. With a huge AUM base of over Rs 4600 crores, the expense ratio of the fund is amongst the lowest at only 1.82%. As an asset management company Franklin Templeton is recognized as amongst the best performers across several mutual fund categories. The fund managers of this scheme are Anand Radhakrishnan (since 2007), Anand Vasudevan and Neeraj Gaurh. Anand is known as one of the fund managers in the industry with keen eye for selecting high quality stocks at attractive valuations for his portfolio. The scheme is open both for growth and dividend plans. The current NAV (as on Feb 21 2014) is 238.2 for the growth plan and 30.28 for the dividend plan. The fund restricts its portfolio to very large cap stocks, primarily from the Nifty basket. The portfolio has a long term high growth focus. From a sector perspective, the fund managers are overweight on the BFSI sector, with substantial exposure also to IT, energy, healthcare and telecom. In terms of company concentration, the portfolio is very well diversified with its top 5 holdings, Infosys, Bharti Airtel, ICICI Bank, Reliance Industries and HDFC Bank accounting for less 36% of the total portfolio value. The fund also holds around 3% of its portfolio in cash equivalents as a cushion to downside risks in volatile market conditions. In terms of risk or volatility measures, the annualized standard deviations of monthly returns for three to ten year periods are in the range of 16 to 23%, which is lower than the volatility of large cap funds as a category. The 3, 5, 10, 15 year and since inception annualized returns for this fund are 4.9%, 19.63%, 16.37%, 23.18% and 22.12% respectively (as on Feb 7, 2104). On a risk adjusted basis, this is certainly one of the best long term investment opportunities with limited downside potential. An investment of Rs 100,000 in the growth plan of Franklin India Bluechip Fund on Feb 21, 1999 (fifteen years back) would have by now grown more than twenty times to Rs 2,101,000. Franklin India Bluechip Fund Dividend Plan has an excellent dividend payout track record. The fund has been paying dividends every year for the last 15 years. The chart below shows returns as on Feb 14 2014 (NAVof 238.2) of Rs 5000 monthly SIP in the Franklin India Bluechip Fund Growth Plan, for respective years starting 1999. The amounts are shown in Rs. lakhs. The chart above shows that a monthly SIP of Rs 5000 started on Feb 21, 1999 in the fund would have grown to over Rs 45 lakhs, while the investor would have invested in total only Rs 9 lacs in 15 years! Similarly, all investors who have done a SIP since inception of the fund have become Crorepatis. Example – A monthly SIP of Rs. 5,000 done since inception of the fund (3rd Dec 1993 – 1st NAV declaration date) is worth Rs. 15,716,585 (One crore fifty-seven lacs sixteen thousand five hundred eighty-five) against a total investment of 1,215,000 (Twelve lacs fifteen thousand only). Ideal scheme for Retirement, Children education & marriage planning and achievement of other long term goals.